Built in 1996, Senior Suites of Central Station, a beautiful community for seniors age 62 or better. Our affordable, high-quality apartment homes feature a number of amenities for safety, comfort, and entertainment, and the care from our dedicated staff is unmatched. 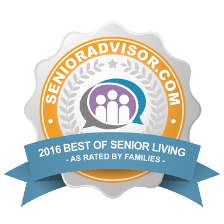 Located among the many attractions of Chicago, Senior Suites of Central Station offers the best value in the area. Senior Suites of Central Station allows residents to maintain an active lifestyle with the ease of maintenance-free living, security, and wellness programs. We also offer on-site parking, secured entry systems, complimentary laundry rooms with washers and dryers, and grocery shopping transportation. Your comfort and convenience is always our top priority. Our community consists of 96 studio and one-bedroom affordable senior apartment homes, with varying floor plans and amenities described below. Since Senior Lifestyle was founded, our skilled and compassionate team has been helping Senior Living residents learn, grow, and connect in ways they never expected. The best part is that we learn from our residents even more than they learn from us, which might explain why our programs and services continue to evolve and improve every year. As a result of our high level of service, we’ve received official recognition over the years. While we are proud of these awards, our passion for what we do continues to drive us to improve every single day.